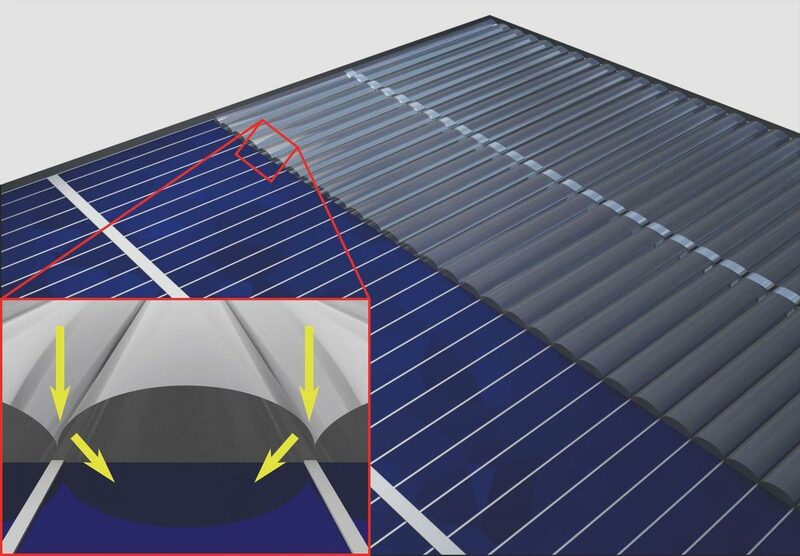 Current solar panel technology has enough trouble as it is converting sunlight into useable current, what with their paltry 20 percent average efficiencies. And it certainly doesn't help matters that up to a tenth of every solar panel's active collection areas are obscured from the sun by electrical leads called "contact fingers." But researchers at the Karlsruhe Institute of Technology (KIT) have developed a novel workaround: they're wrapping the finger contacts in little invisibility cloaks. Like other invisibility cloaks, this system works to wrap light around the object. The fingers are still visible to the human eye -- I mean, they're not really invisible -- but the light that hits the top of the contacts is redirected to the solar panel underneath through some tricky physics. The team is currently looking at two alternative methods for accomplishing this feat. The first method involves wrapping the fingers in a polymer coating with a precisely tuned refractive index. The other involves etching grooves into the fingers themselves that refract light around the components. Current computer models of both methods suggest that panel efficiencies would increase by about 10 percent should the contact fingers be made to disappear.